After experiencing problems with their past drummer, the band have found a worthy replacement and is currently rehearsing for the recording sessions planned sometime soon. Their first full length is still planned for 2007. The CD version of "Ääniä Yössä" has been spreading for a little while now and it was about time to unleash the wax version. No bonus material whatsoever, you'll get the same content in a noble heavy vinyl version. 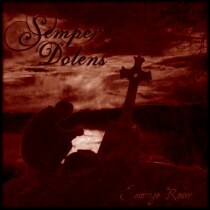 As with the split with S.M., this will be released in cooperation with Grievantee Productions. Both vinyls are expected sometime in December. The first full length of this Italian duo is currently at the pressing plant. You can already check some samples on the band’s website www.kult-band.com as well as here & here. 10 Black Metal hymns with a melancholic touch and grim vocals is what you can expect from "Winds Of War". Basic & straight to the point is definitively the realm of KULT. No extra gimmicks, just Black Metal with a good production. We expect to have it available in the early days of December. A vinyl version shall be unleashed sometime in the future. Those of you who know this Finnish one-man band are familiar with acoustic guitars music. Yet, this is not the only face Miko had to offer. 'The acoustic path is now behind' and Debemur Morti Productions has been chosen to unleash "The Streams Of The End" mini album, which will show 'a much harsher expression'. Deeply bearing the trademarks of the previous material (acoustic guitars, sorrowful music...), 4 songs linked to each other to form a 20 minutes long hymn, will be released in the first months of 2007. First as a vinyl version and then as a compact disc. We're truly honoured to announce that it has also been decided that DMP will release the second full length of the band. After the freezing "Scalding Coldness" released by German Miriquidi Productions, the horde decided to join Debemur Morti Productions for their upcoming full length. The new material shall be recorded sometime around the end of the year/beginning of next year. More news will be provided in time. "Muspellz Synir", the new full length of this Swedish entity, is fully recorded and is currently being mastered. Once all elements are completed, it will be promptly sent to press. Depomir Morti Productions don't expect this to be out before early next year. We know many are eager to listen to their new material but you'll have to be a little more patient. More news about it as soon as possible. ARS DIAVOLI’s first demo tape is currently being pressed. This one-man band, who already participated in a 4 way Split CD with PENITENCIA, IRAE and THY BLACK BLOOD, performs "Depressive" Black Metal surrounded by tormented & painful screams. "The Absence Of Light" contains 4 hymns and will also come in 300 pro tapes. The first full length of the band will be released via Debemur Morti Productions in the future. You can already check a sample (taken from the demo) here and enter the forsaken realm of Vilkatis. Depomir Morti Productions will be releasing the vinyl version of the latest effort from this French experimental/avantgarde Black Metal duo. This version will come with different layout than the CD version. No release date planned as we speak but it will most likely come sometime in early 2007. The demo tape, "Only Death" from this mysterious and eerie project coming out of nowhere is currently at the pressing plant. 300 copies done in pro tapes and some extra non-pro ones will spread within the next few weeks. For the curious ones, a sample will be shortly uploaded. The 10" split gathering these two hordes (previously planned to be released on another label) will after all be released by Debemur Morti Productions. The material is recorded for some time now but the artwork still needs to be completed. It appears that a talented Irish artist was found for this task so we hope to have all elements soon as we're eagerly waiting for this release to become reality. The vinyl version of "Langs Galg en Rad" has been available for a couple of weeks now. Co-released with the Netherlands’ Melaskhole Productions, this piece of dirty Black Metal comes in heavy black vinyl with nice, rough gatefold covers. If you don't know this Dutch horde yet, we warmly recommend you to check them out. Some say it reminds them of early SATYRICON..but since the music speaks better by itself it’s best that you check a low quality sample of it here. This version differs slightly from the CD version released by Full Moon Productions as it carries a cover of Darkthrone instead of the original Lugubrum one. Limited to 500 copies. Myrkr have decided to gather forces with Debemur Morti for the birth of their first full length. The band is currently busy writing the material for what is announced to be their 'best material to date'. The decision was made by the Turkish booker, it was not in control of the band! The Gathering would like to apologise for the fans that had planned to visit Ankara or Izmir concerts."